Bis(2,4-di-tert-butylphenyl)phosphate, Catalog #: CBD0030 , back stock! Click here for a quote! On behalf of our entire team, we want to wish you a joyous Holiday Season filled with health, love and laughter. This year, we’re thankful for you – our loyal customers who continue to trust us as a partner in your work. And we hope to have the pleasure of doing business with you for many years to come. Save more money and time for your research projects with hundreds of available Advanced BioChemicals’ products. Please enjoy our special EASTER SALES PROMOTION with UP TO 20% OFF discount. Please contact us for detail and more information. Welcome to download our NEW 2017 Catalog (PEG, Magnetic Beads, ELISA Kits)! Advanced BioChemicals (ABC) make your research easy and affordable. 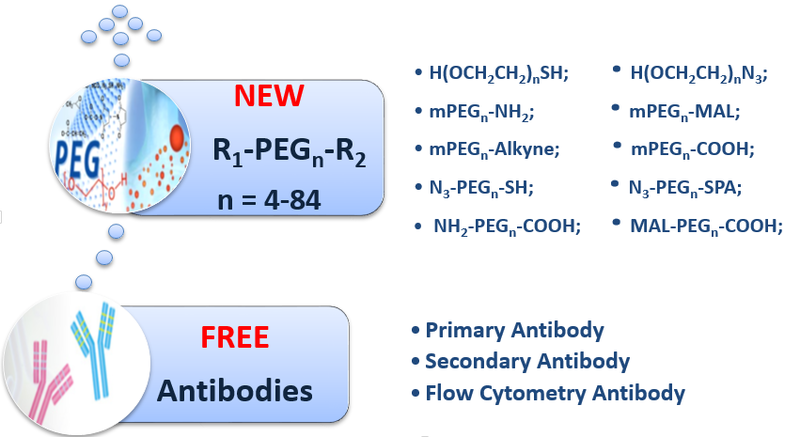 We are glad to offer NEW Discrete (Monodisperse) Polyethylene Glycols and FREE Antibodies. Please contact us for detail and more information. Advanced BioChemicals (ABC) makes your research easy and affordable. 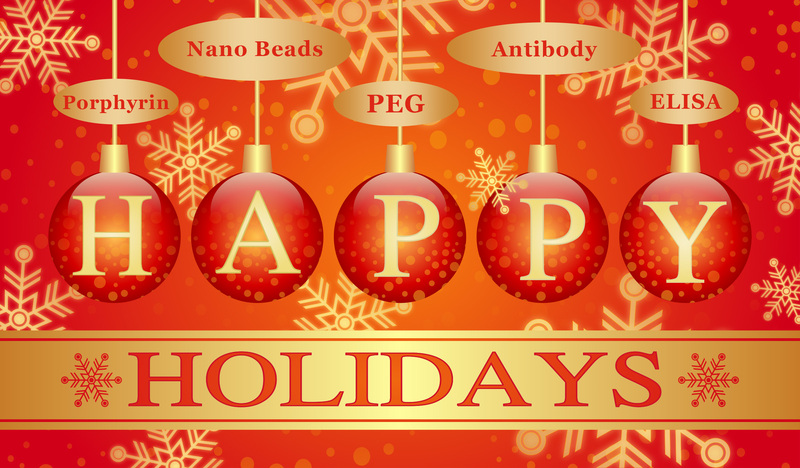 Check the availability of your FREE Antibodies and Magnetic Beads sample now. Please contact us for detail and more promotions. Happy Holidays! 10% OFF all orders are back! You don’t need to wait until Thanksgiving to save big at Advanced BioChemicals. Starting today, we are offering up to 20% OFF select our popular products through November 25. 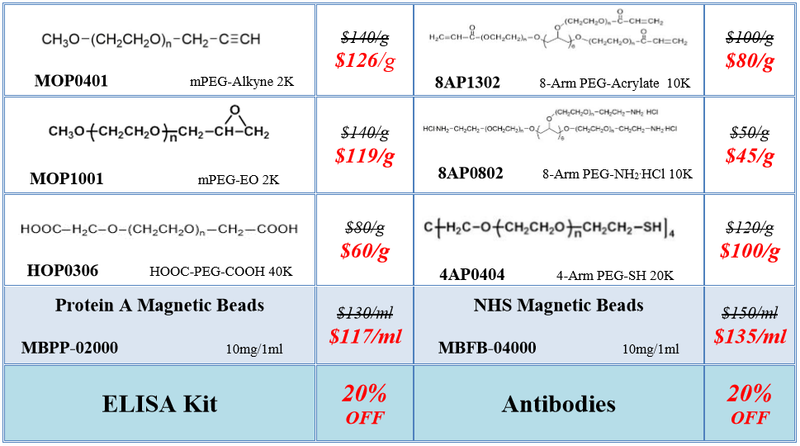 The sale includes some of our most popular PEG products, Magnetic Beads, ELISA Kits and Antibodies. Take advantage of our special promotion and save! Please contact us for more details and discounts! 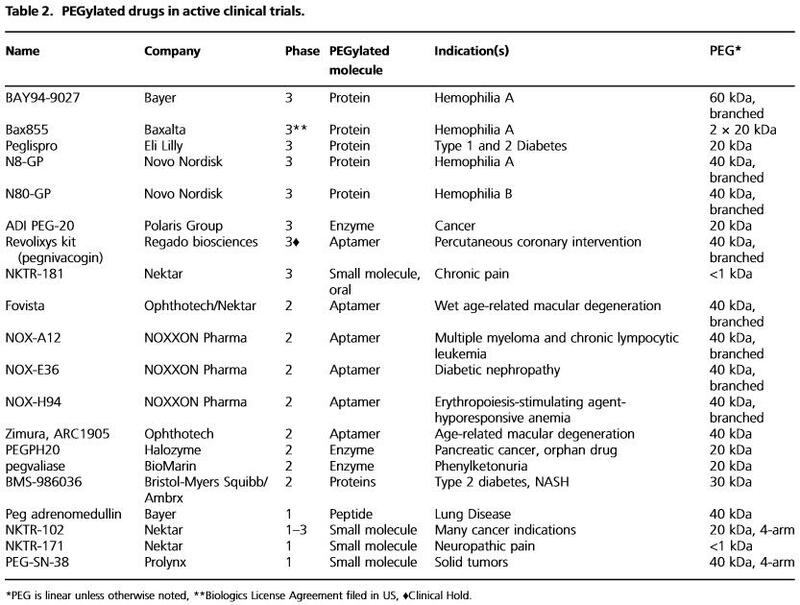 First patient in the Lambda Interferon MonoTherapy in HDV clinical study has been dosed with pegylated interferon lambda-1a, a potential therapeutic for chronic hepatitis D virus infection announced by Eiger BioPharmaceuticals Inc. And now multiple active anti-HDV agents have been in development, including an oral therapy and a subcutaneous injectable therapy to study alone and in combination toward the suppression or cure of HDV, per the release. Pegylated interferon lambda-1a, known as lambda, is a well-characterized, late-stage, first in class, type III interferon (IFN) that stimulates immune responses that are critical for the development of host protection during viral infections. Fall Saving! Over 400 PEG products are available now! 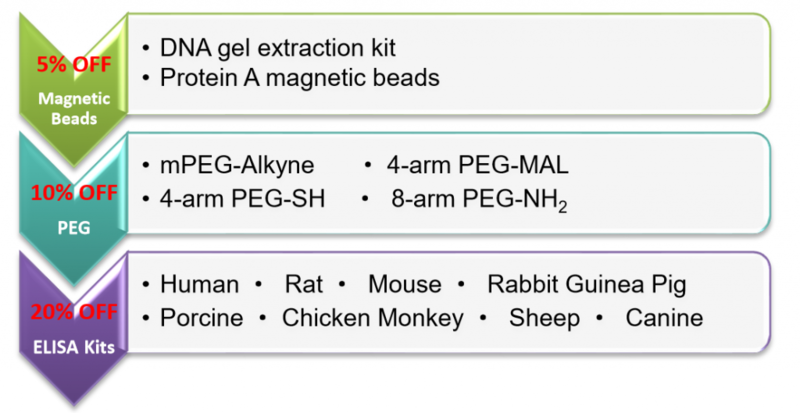 Save even more money and time for your research projects with a range of over 400 PEG products that have been developed for use in a wide variety of application, such as PEGylated protein drug, PEGylated nano-particles like liposome and polymer micelles, PEG Hydrogels, and PEG linker for antibody conjugated nano-particles. Please enjoy our time-limited Fall Savings Promotion! Advanced BioChemicals offers a broad range of PEG products to help you meet your research needs every day. Don’t just take our word, try our free samples and enjoy high quality results. It’s risk-free! But hurry, there are a limited number of free samples available! We would also appreciate your feedback and suggestions about our products. If you have the time, please submit your feedback. 1. A valid Advanced BioChemicals account is required. 2. Each account is limited to 1 sample request, subject to availability. 3. Advanced BioChemicals reserves the right to explain the terms of this program. 4. For inquiries about our catalog products, please contact sales@advancedbiochemicals.com. Summer may bring the heat, but it also brings the Hot Deals! Save even more money and time for your research projects with hundreds of available PEG products. Please contact us for more discounts and detail. Service upgrade! Hundreds of PEG products are available now! Save even more money and time for your research projects with hundreds of available PEG products. Get flexible scale, high quality at desired purity without the hassle. Get a quote and special discount. Advanced BioChemicals (ABC) greatly appreciate your business and support. In order to feedback your supports, $5, $10, $15, $20 and $40 Amazon gift card will be shipped with your order when the amount reaches $0-$200, $200-$500, $500-$750, $750-$1000 and over $1000, respectively. Advanced BioChemicals (ABC) offer various high quality linear and multi-arm PEG products with a broad range of molecular weight. Please contact us for free quotation and more discount. 5% Off discount on all mPEG products until May 31, 2016. What’s the effect of PEGylation on the gold (Au) nanoshell/silica core nanoparticles? How to balance the contradiction of PEGylation between long circulation and poor uptake ? Advanced BioChemicals (ABC) offer various high quality linear and multi-arm PEG products with a broad range of molecular weight. We also offer custom synthesis service to support your research. We have increased in stock of inventories, please contact us for free quotation and detail. Advanced BioChemicals (ABC) offer various high quality linear and multi-arm PEG products with a broad range of molecular weight. We also offer custom synthesis service to support your research. We have built up our stocks, please contact us for free quotation and detail. 10% Off discount on all Thiol PEG products until April 30, 2016. Advanced BioChemicals (ABC) offer various high quality linear and multi-arm thiol PEG products with a broad range of molecular weight. We also offer custom synthesis service to support your research. We have adjusted the price of most PEG products, please view and download our latest 2016 ABC-PEG Products Catalog for detail. Please contact us for free quotation and detail. Advanced BioChemicals (ABC) offer various high quality linear and multi-arm Amino PEG products with a broad range of molecular weight. Please view and Download our 2016 ABC-PEG Products Catalog for more PEG products. 10% Off discount on all Amino PEG products until March 31, 2016. Medical was the largest application for PEG, accounting for more than 40% of market share in 2013. Superior blending, hygroscopicity and non-toxic properties of PEG have resulted in high demand for the chemical in numerous pharmaceutical products such as tablets and ointments. Increasing use of PEG as a solvent in the manufacturing of laxatives and eye drops coupled with the growth of pharmaceutical industry is anticipated to drive market. Evolution of waterborne coating and paint in automotive and construction industries owing to growing demand for eco-friendly products is expected to augment PEG market growth. Read the full research report at: http://www.radiantinsights.com/research/polyethylene-glycol-peg-market-analysis-by-application-medical-personal-care-industrial-and-segment-forecasts-to-2020. Advanced BioChemicals (ABC) offer various high quality linear and multi-arm PEG products with a broad range of molecular weight. Please view and Download our 2016 ABC-PEG Products Catalog. 10% Off discount on all multi-arm PEG products until March 31st, 2016. Writing in Nature Nanotechnology (online: 2/15/2016, read the full text publication: http://www.nature.com/nnano/journal/vaop/ncurrent/full/nnano.2015.330.html), Frederik Wurm and colleagues now challenge our understanding of how neutral hydrophilic polymers alter the biological fate of nanoparticles. A polystyrene nanocarriers that have been modified with PEG have been exposed to plasma proteins exhibit a low cellular uptake, which show that in addition to reducing protein adsorption, PEG can affect the composition of the protein corona that forms around nanocarriers, and the presence of distinct proteins is necessary to prevent non-specific cellular uptake. To support your research needs, Advanced BioChemicals offers various PEG derivatives to meet your project requirements. View and Download our 2016 ABC-PEG Products Catalog. 10% Off discount on all PEG products until February 29th, 2016. Please contact us for detail. Do you spend a lot of time, money and resources in producing PEGylated materials? If that’s the case, our newly launched various novel PEG derivatives are for you. Get flexible scale, high quality at desired purity without the hassle. Check the price and availability of ABC PEG products now. Go to ABC PEG products for more information! 10% OFF on all PEG products until February 29th, 2016. Please contact us for detail. Looking for better magnetic beads to get more purified proteins in order to save more money and time? The new nanoscale superparamagnetic beads can help you! Need small amount of PEG or Magnetic Beads but don’t want to pay more? Free PEG and Free Magnetic Beads promotion are back! Advanced BioChemicals (ABC) make research easy and affordable. Check the availability of your free PEG and Magnetic Beads sample now. Merry Christmas and Happy New Year! 10% OFF offer is back! This year, we’re thankful for you – our loyal customers who continue to trust us as a partner in their work. And we hope to have the pleasure of doing business with you for many years to come. Extra Amazon Gift Card award: $5, $10, $15, $20 and $40 Amazon gift card will be shipped with your order when the amount reaches $0-$200, $200-$500, $500-$750, $750-$1000 and over $1000, respectively. A new method to produce site specifically PEGylated or bivalent single-domain antibodies has been developed by Prof. Steven Liang group at Harvard University (Enzyme-Mediated Modification of Single-Domain Antibodies for Imaging Modalities with Different Characteristics, Angew. Chem. Int. Ed., DOI: 10.1002/anie.201507596). They used camelid single-domain antibody fragments (VHHs) as the smallest antigen-binding derivatives, which lend themselves to enzymatic modification and have been used in a variety of applications, including imaging. They found that the antibody-PEG conjugation reaction conditions enable full retention of the biological activity of the fusion partners. And the attachment of small PEG groups could be used as a tool to “tune” the persistence of a VHH in the circulation. Moreover, PEGylation can decrease the immunogenicity of VHHs, which is important in cases in which repeated administration is required. 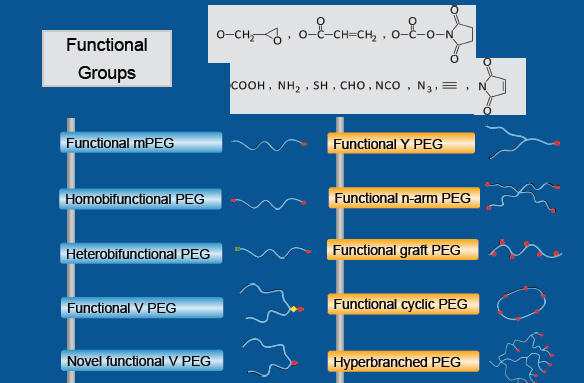 The PEGylated fluorescent VHHs showed improved staining in vivo, with larger PEG substituents giving stronger signals in FACS, whereby PEG substituents with a higher molecular weight gave stronger signals. Finally, immune-PET of two different models of tumor-bearing mice showed that the DC8 dimer and DC13 dimer detected not only lymphoid organs, as expected, but also showed the location of ectopic melanoma and pancreatic tumor grafts. Advanced BioChemicals (ABC) offer various high quality PEG products with a broad range of molecular weight. Visit Advanced BioChemicals (ABC) PEG products website to find more details. 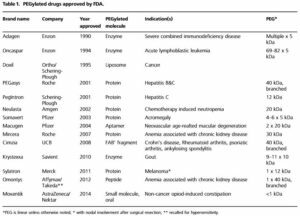 What is the future of PEGylated therapies? As the first successful technology to improve pharmacokinetic (PK) profiles of therapeutic agents, PEGylation has been widely used to stabilize bioactive molecules (proteins, peptides, enzymes, antibody fragments, oligonucleotides, small synthetic drugs, ets.). 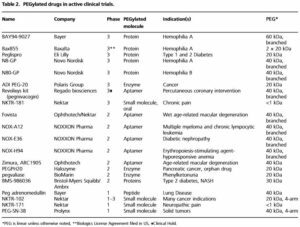 As indicated by Prof. Lee in his new manuscript, over 10 PEGylated drugs have been approved by the FDA to date with over 20 drugs in clinical trials and it was estimated that PEGylated drugs would be a multi-billion dollar market. Since its discovery, PEG chemistry experienced enormous enhancement. First-generation PEGylation involved random PEG conjugation along the biomolecule that showed varying physicochemical and pharmaceutical properties. Second-generation PEGylation took the benefits from an array of PEG derivatives – activated PEG molecules, higher molecular weight PEG polymers and branched PEG structures, which enable to make site-specific PEGylation and further improve the PK profiles. 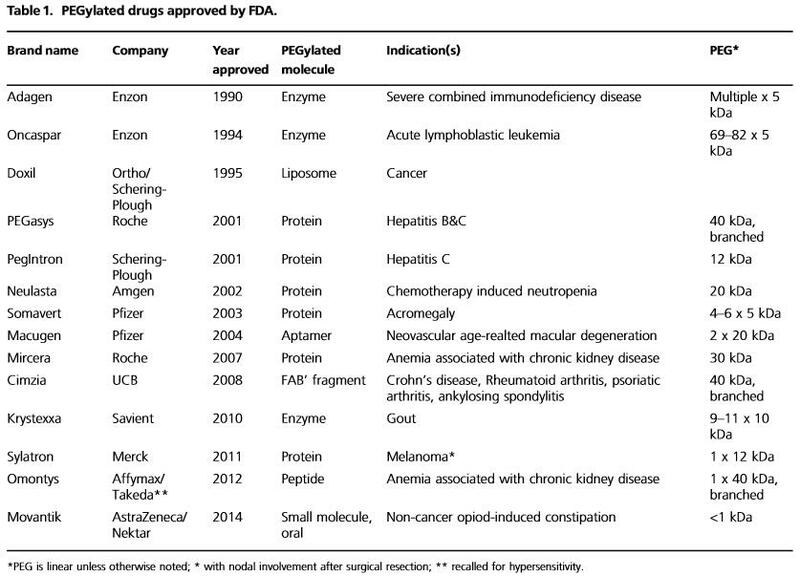 Now third-generation technologies aim to preserve the drug’s bioactivity. Third-generation PEGylation looks to minimize the current trade-off between potency and circulation half-life for longer-lived drugs. One technique is to utilize customized linker to make releasable PEG conjugates as a predrug approach or create customizable PEGylation sited on proteins. Another approach is to use unique PEG with customized sizes and shapes to affect therapeutic potency of the parent molecule. Advanced Biochemicals (ABC) offer various linear and branched PEG products. We also provide customer PEG synthesis and customer PEGylation service with different molecular weight and structure . According to a new market research report “ Nucleic Acid Isolation and Purification Market by Product (Reagents, Kits, Instruments), Technology (Column-, Reagent-, Magnetic Bead-based), Application (Plasmid, Genomic DNA, miRNA, Total RNA, PCR Clean-up), & End Users – Global Forecast to 2020 “, published by MarketsandMarkets.com (November 2015), The global Nucleic Acid Isolation and Purification Market is expected to reach USD 3,837.42 Million by 2020 from USD 2,560.31 Million in 2015, growing at a CAGR of 8.43% between 2015 and 2020. Nucleic acid isolation and purification is a set of molecular biology techniques used for the extraction of DNA and RNA for use in downstream applications. Among all these techniques, magnetic bead-based isolation and purification have attracted considerable attentions due to their unique characters. 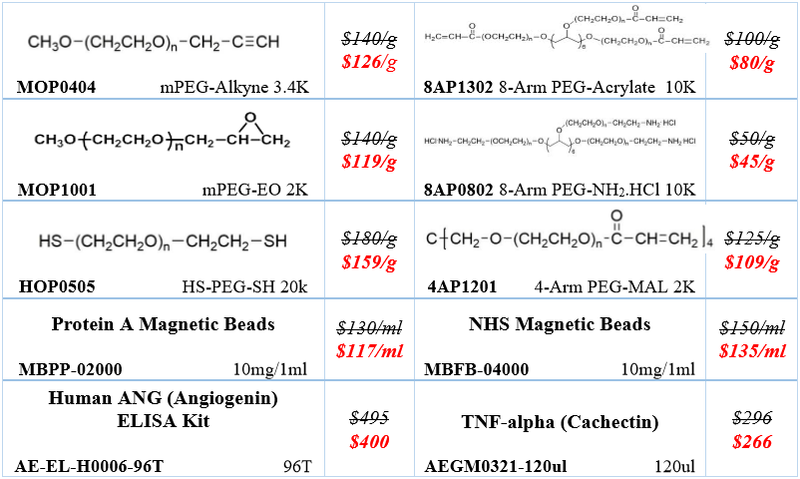 Visit Advanced BioChemicals (ABC) magnetic beads website to find more details. Advanced BioChemicals (ABC) Make Research Easy and Affordable. Now you can enjoy 10% off on all Heterobifunctional PEG products when you place an order by November 30. Welcome to submit a request for a free quote. molecular weight. Please contact us for price and availability. 4-Arm PEG products are good cross-linkers and have been widely studied in medical field and bioorganic material fields, such as the preparation of hydrogel, drug development, 3D cell culture. From November 2015, several new high quality of 4-Arm PEG products start to be offered by Advanced BioChemicals (ABC) with different molecular weight (2kDa, 5kDa, 10kDa and 20kDa) and pack size (500mg, 1g, 5g and 10g) . 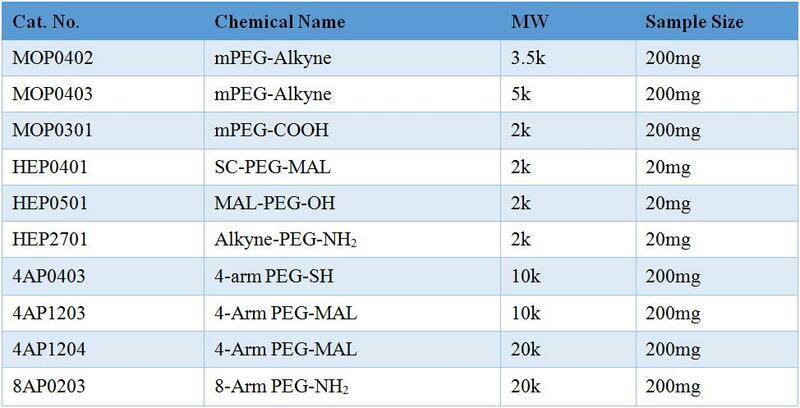 Different MW of 4-Arm PEG products may be available by custom synthesis, please email us at tech@advancedbiochemicals.com for details. Advanced BioChemicals (ABC) also provides repackaging services, please contact us at for a free quote, and if you have any questions about our products, please contact us by info@advancedbiochemicals.com or +1-678-827-9993. to submit your request. We will deliver your interested sample quickly. molecular weight options from -50 (oligomers) to 40 kDa. This promotion will be ended on Oct 31, 2015. Free samples , welcome to contact us for detail! News: 09/24/2015, PEG products are online now!